Some of the world’s greatest interior design can be found in hotels across the globe. 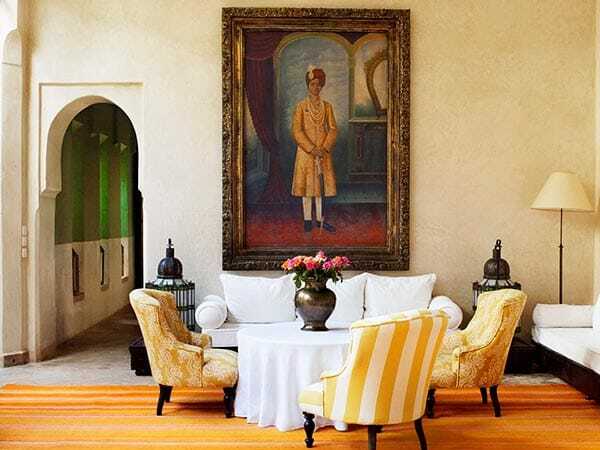 That is certainly true for L’Hotel Marrakech in Morocco, designed by Jasper Conran who also designed several dresses for the late Princess Diana and finally had the opportunity to fulfill his dream of designing a hotel with L’Hotel Marrakech. 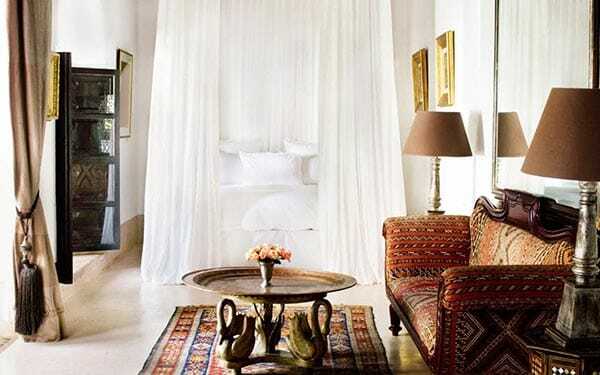 The riad offers five suites that each have their own unique flavor. 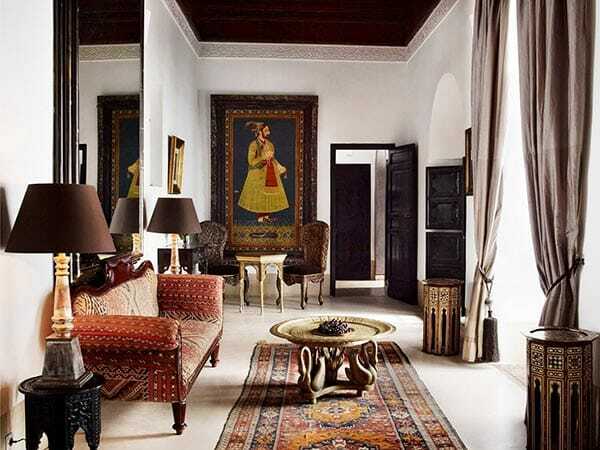 The entire place is stunning, not overlooking a single detail from the luxurious, rich textiles to the grand feeling of each space. Every room is bursting with charm and character in an elegant, comfortable way. Enjoy this beautiful hotel tour and all its inspiring elements courtesy of Rue Daily. Floor-to-ceiling curtains drape a doorway for a luxurious appeal while black and white makes the space extra chic. Yellow is cheerful and welcoming in this dining area while a beautiful hallway of green peeks out from around the corner. The deep plum color in the chairs and area rug add a rich appeal to this already stately hall. So many beautiful patterns are at work in this space yet it all flows together beautifully. 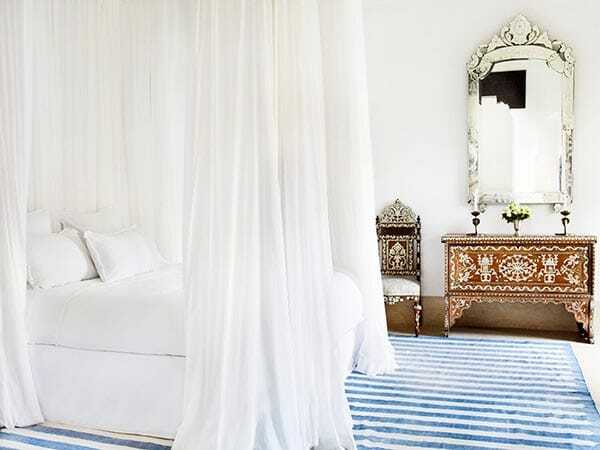 How stunning is the all-white canopy bed? This whole room is fresh and chic, really showcasing the stunning details on the other furniture. 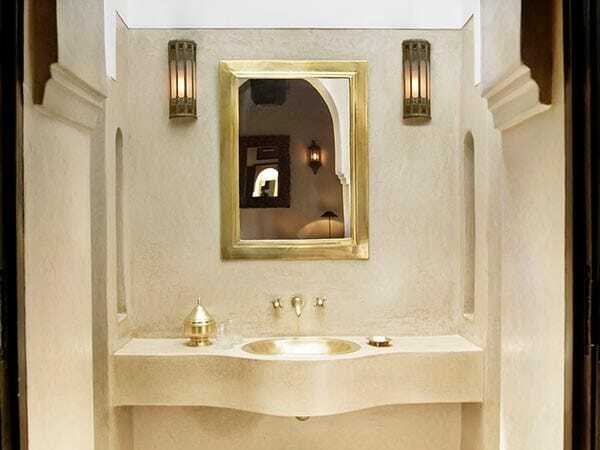 The vanity looks like it was carved right out of the wall. The gold accents add a touch of glamour. Love the contrast of the rich colors and patterns of the seating area against the white bedding. 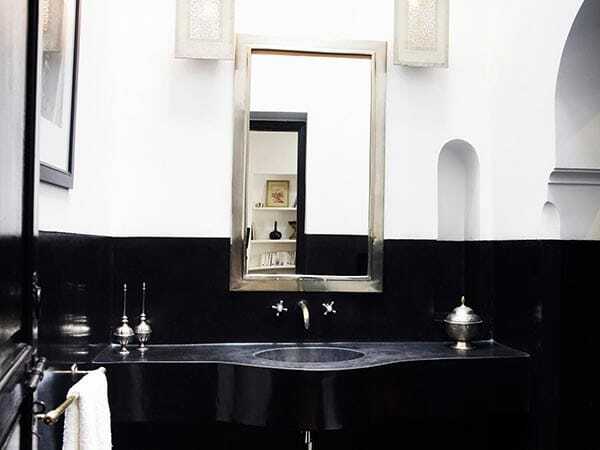 The sharp contrast of black and white make this bathroom dramatic in such a simple way. 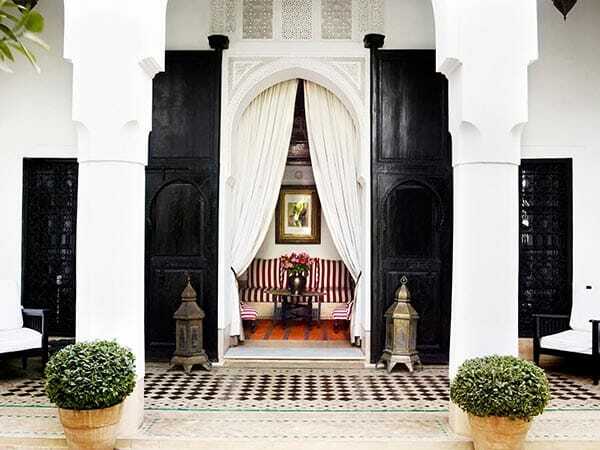 The tall curtains and black and white palette are even more stunning from the outside. Who wouldn’t love to relax in this charming sanctuary? 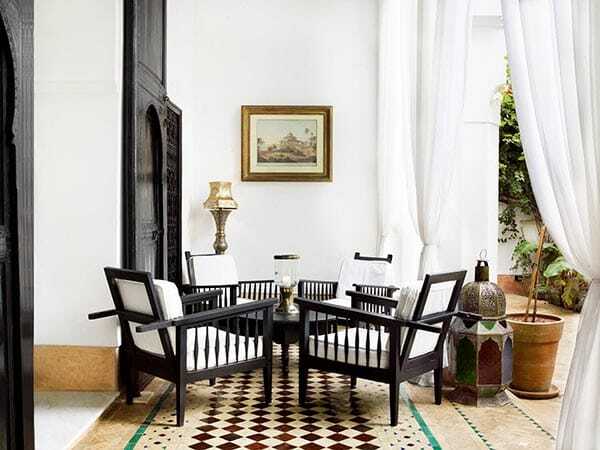 The courtyard is chic and comfortable with a continuation of the black and white palette with a few hints of color. What an incredible place to stay!